I'm torn on this one. 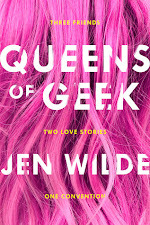 There were definitely things about it I enjoyed, and my desire to find out which direction things went for Eva kept me turning the pages, but there were some things that took me out of the story. I appreciate what the author was doing by putting elements of our world's technology into this new world, where things have regressed majorly, but every time they spoke of their perception of these items in the past it was a little too silly for me. However, The Testing itself was quite intriguing. I like the idea of traveling out into the unknown parts of their world and searching for artifacts, or relics, from the old world. I also thought it was quite clever that it was a few young people from their society that commit to do this testing, as a way of competing for the spot as one of the next leaders of their people. Another interesting part was that they each wrote chronicles for each relic they found, creating the story behind the artifact, so that they can learn about the past and not repeat the mistakes. Overall I did enjoy the story and the small twist at the end has definitely gotten me curious about where things are going to go from here. I also have some serious suspicions about a particular character. Despite a few gripes, the story was interesting enough that I think I will most likely read the next book once it's available. And now for the good stuff! 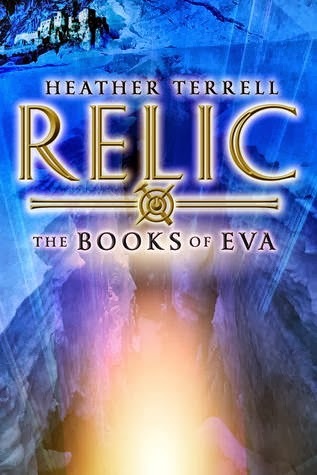 I'm giving you all the chance to win a copy of Relic: The Books of Eva and a matching Tote bag! RELIC REVEALED SWEEPSTAKES courtesy of Soho Teen! 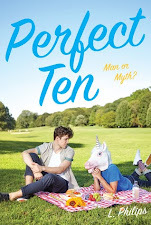 And for just a little more awesome, Soho Teen has got a big sweepstakes going on for Relic. 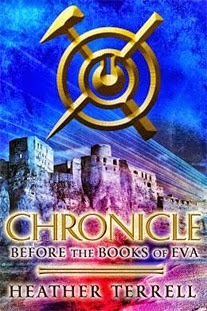 Head on over to RelicTheBook.com to check out Chronicle, a free e-book prequel to Relic and get all the details for the RELIC REVEALED Sweepstakes! You have until November 5th to enter for your chance to win a tablet device! This is our second—and last—chance. Thanks to the Gods, and thanks to the Testing. Each year, the finest Gallants in New North embark on the Testing, a harrowing rite of passage through the frozen wastelands to recover Relics, artifacts from the evil time before the Healing. About these Relics the Testors construct their Chronicles, illustrating mankind’s depravity, his Vanity, his love of Tech, his sins too numerous to count. All true Chronicles are collected and made part of the Lex’s Holy Truths, year by year. One thing that might help me do well in The Testing is that I was born in Canada so I'm used to the cold weather. I'd be able to keep warm more easily than some of the others and find my way through the icy terrain better. I hope. Thanks for the introduction to this new-to-me book. I like searching for things and I don't mind the cold so maybe that would help.